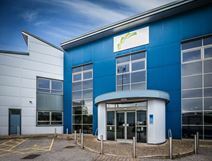 Located in a semi-rural location on the outskirts of Worksop, this centre is easily accessible from both the M1 and A1. This centre offers a charming atmosphere that exudes quality. A number of offices are available on flexible terms. This centre offers virtual offices, meeting rooms for hire as well as office space ideal for growing companies. There are 53 office suites in a range of sizes, a cafe, a kitchen area and storage space over two storeys. The 65 sq m conference room is equipped with audio visual technology. The space is available on short term leases. 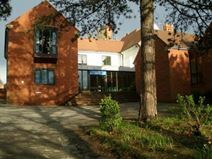 Located in a picturesque setting close to the town centre, train station and the M1, the centre is easily accessible.